This great indie has a wonderful literary vibe and an enviable collection of antique typewriters. This Saturday I was back in Michigan in time for Small Business Saturday. Battle Creek Books invited me to sign my books. Thanks to everyone who came out to support their local indie bookstores! Book tree at Battle Creek Books! 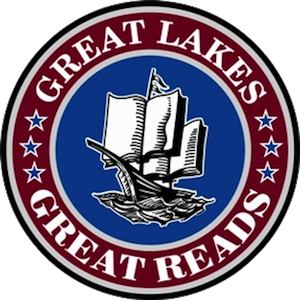 Battle Creek Books has a few of my books (signed by me!) in stock for your holiday gifts! 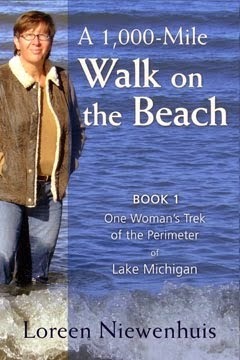 I traveled to South Haven this weekend to be part of the Women's Only Weekend (WOW). Pam Haferman (far left) of Black River Books brought my books to sell at the event. Here we are with some of the women who came to hear about the islands of the Great Lakes. Bonnie Jo Campbell signs her new book for me at Black River Books! 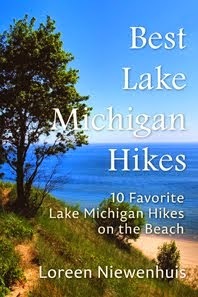 Black River Books has signed copies of my three books AND Bonnie's three latest books in stock. 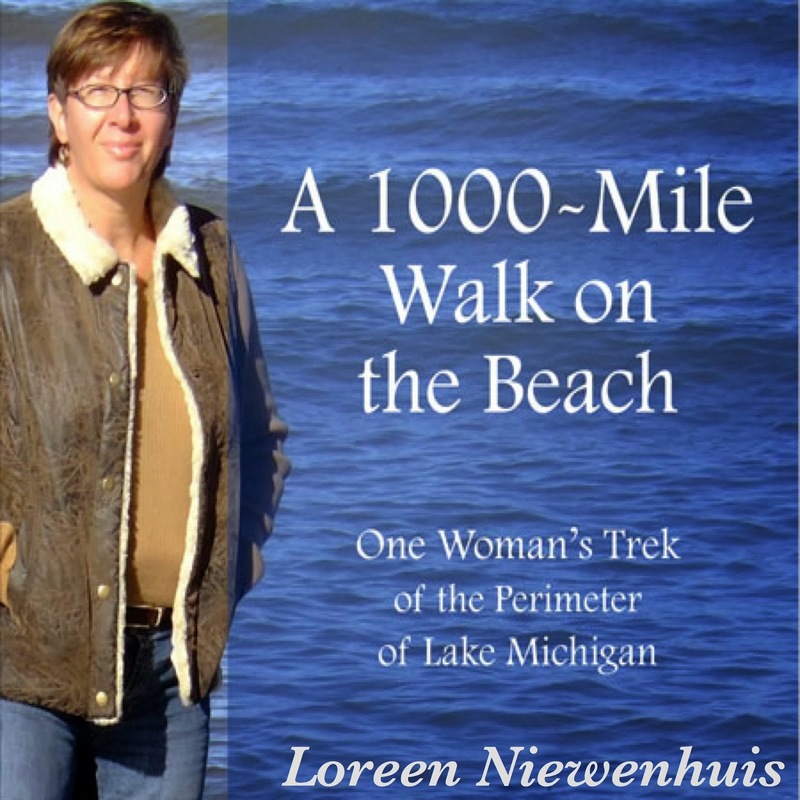 1,000-Mile Walk on the Beach! 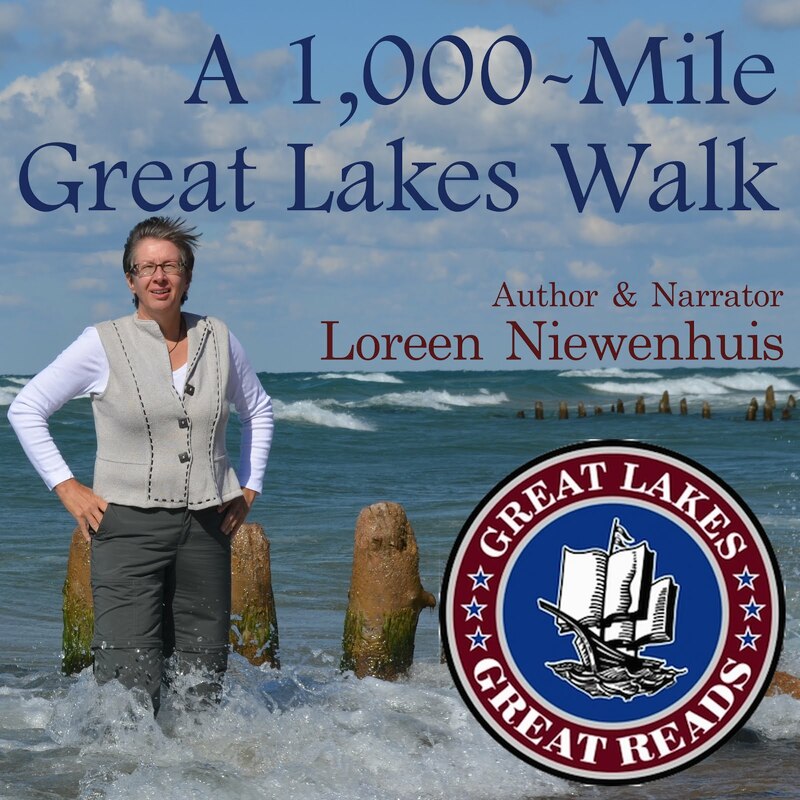 They read and exercised, learning about Lake Michigan along the way. 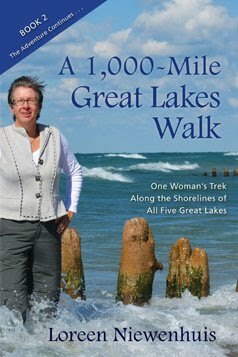 The coordinator, Barb Fish, posted a map of the lake and gave everyone a push-pin to move along the lakeshore as they accrued "miles hiked." 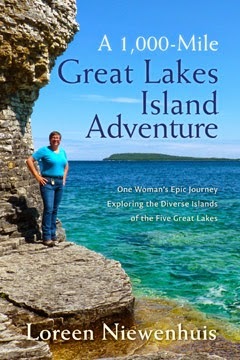 This month I returned to tell them about my Great Lakes ISLAND Adventure and visit with my friends at Wyndham. My book tour took me to Milwaukee last month. There I met with my editor and also revisited an old friend, this massive copper beech tree near the shores of Lake Michigan. The European copper beech tree was first introduced to North America in the 1700s. It is estimated that this tree was planted in the mid-1800s, which would place it on the family farm of the pioneering Estes family. This tree is truly a giant! "Fountain of the Great Lakes"
sculpture in the south garden at the Art Institute. The water flows from one to the next, just like the water flows through the Great Lakes. 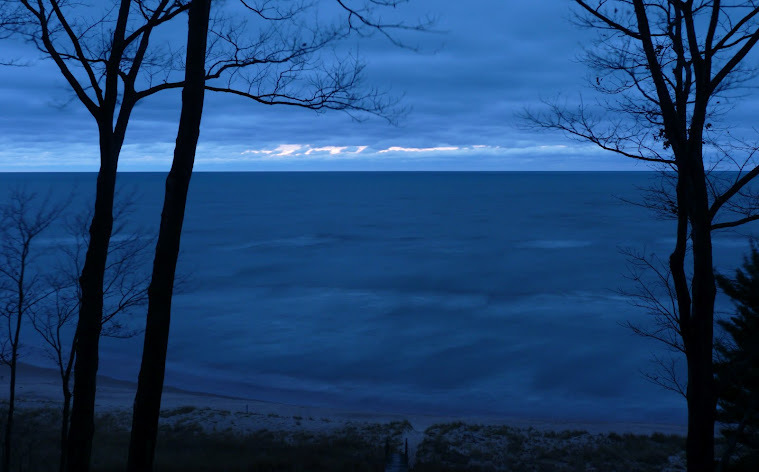 The uppermost woman represents Lake Superior, and the lowest represents Lake Ontario. 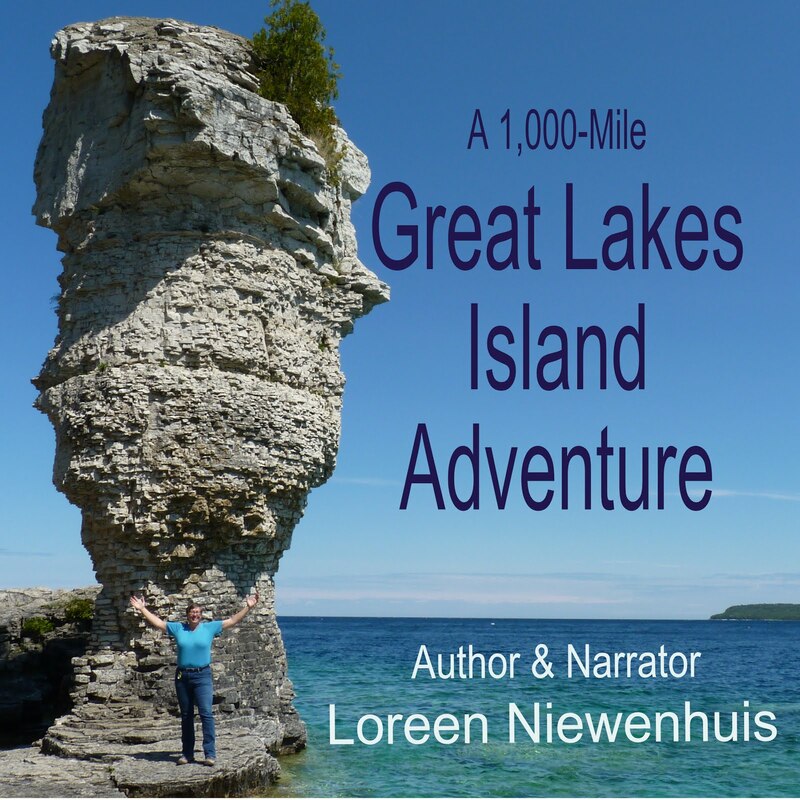 This final figure gazes off into the distance as she reaches out with her hand, representing Lake Ontario flowing out to the North Atlantic Ocean. On the day I visited, the Lake Ontario lady had a winged visitor. This bronze was created between 1907-1913. My book tour took me to the Windy City this October for a week of events. 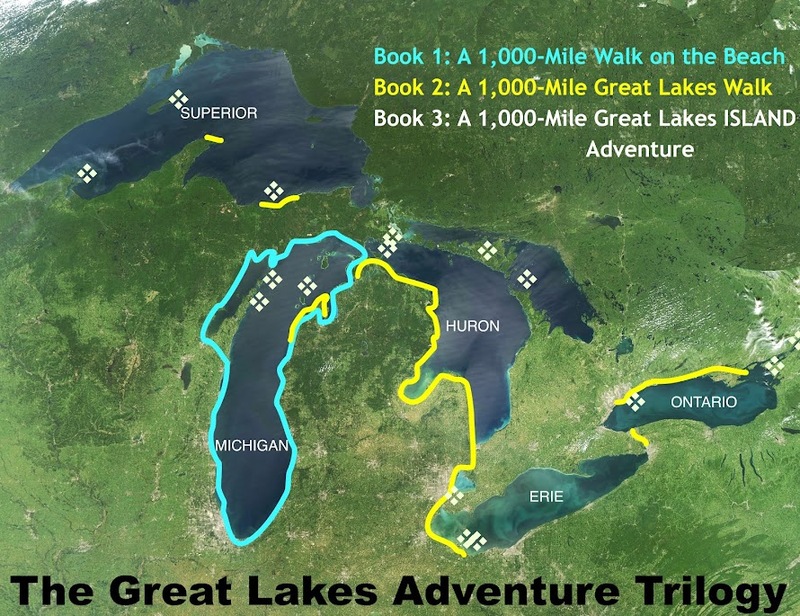 Thanks to everyone who came out to hear about the islands of the Great Lakes!